Lockheed Martin Australia has officially opened of its new Australian corporate headquarters in Canberra. Located on the edge of Canberra’s Parliamentary Triangle, the Lockheed Martin Australia House is now home to the company’s local corporate and business development functions, representing a further $12 million investment in Australia. The building also houses the state-of-the-art Lockheed Martin Endeavour Centre – a purpose-built facility designed specifically to enhance opportunities for exploration and innovation with key partners. Rick Edwards, Executive Vice President, Lockheed Martin International said the move was a testament to the company’s unwavering commitment to Australia. “For more than 70 years, Lockheed Martin has invested in Australia, building long-term capability through our defence, innovation, space and technology programs,” he said. Lockheed Martin Australia Chief Executive, Vince Di Pietro AM, CSC said the facility had been designed to enhance the experience for partners to engage, explore, test, conceptualise and problem solve through innovation and enterprise. 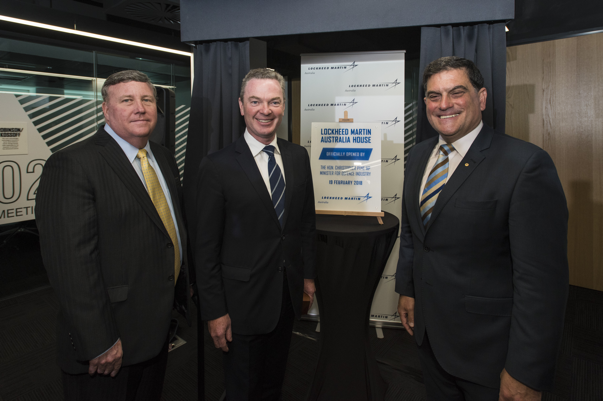 “The jewel in the crown of Lockheed Martin Australia House is the Endeavour Centre – purpose designed for customers, industry and academia to embark on partnerships of discovery and overcome any issues together,” he said. Australian Made, Australian Grown latest TV commercial.